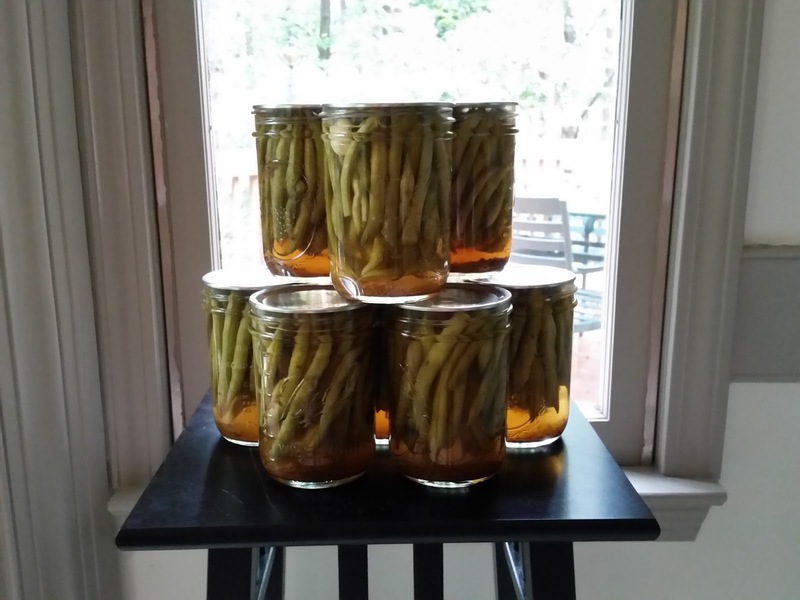 A few months ago I did a canning wrap up post featuring all of my summer canning adventures. Today I'm updating you with the fall canning adventures! The summer canning adventures highlighted peaches, berries, and tomatoes. 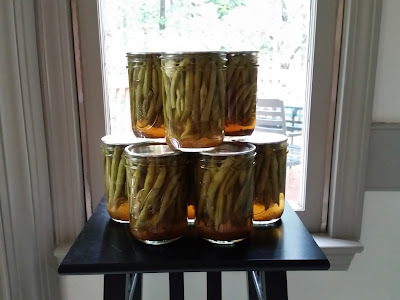 I thought my canning would slow down after the summer ended because I assumed most of what I wanted to can would be from summer produce. Well I couldn't have been more wrong! Much to Patrick's amazement I just kept canning. Since we had such a warm fall there was still lots of produce coming in (so in some ways these canning adventures could be classified as summer) but I was canning some classic fall produce like apples and beets. The beets were one of the last things I canned and haven't been shared on the blog yet. The pickled beets recipe is at the end of this post. Enjoy this roundup of fall canning adventures! But first I wanted to share how cute these were as Christmas gifts! Wash beets; drain. Cook beets; peel. Combine all ingredients except beets in a large saucepot. Bring mixture to a boil; reduce heat. Simmer 15 minutes. Remove cinnamon sticks. Pack beets into jars, leaving 1/2-inch headspace. Ladle hot liquid over beets, leaving 1/2-inch headspace. Remove air bubbles. Adjust two-piece caps. Process pints and quarts 30 minutes in a boiling-water canner. Everything I tasted was delicious! I am so proud of you!